Get creative with leftover potato peelings otherwise destined for the bin and make them into delicious crisps instead with this zero-waste recipe. 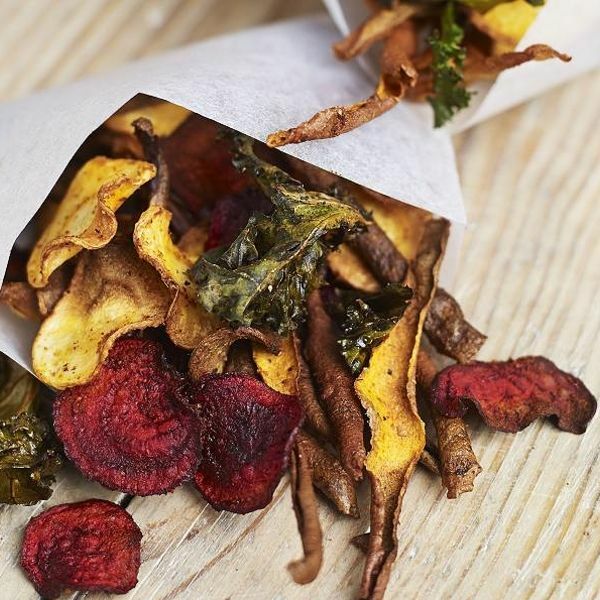 Transform POTATO PEELINGS or OLD VEG into these moreish crisps. A healthy snack from leftover veg! Preheat the oven to 150ºC (300ºF/Gas 2) and line 2–3 baking trays with baking parchment. Place the potato peel in a mixing bowl with half of the oil, spices, salt, and pepper. Using your hands (wear gloves if necessary), gently rub the peel until it is completely coated with oil and spices. Set aside. Using a sharp knife, remove the tough, woody kale stems and roughly chop the leaves intobite-sized pieces. Place the kale in a mixing bowl with the remaining oil, spices, salt, and pepper. Gently rubthe kale for 1–2 minutes until it is completely coated and starting to soften. Spread the potato peel and kale thinly on separate baking trays in single, even layers. Set thekale tray aside. Place the potato peel in the oven and leave to roast for 25 minutes. After 10 minutes, addthe kale tray and continue roasting for the remaining 15 minutes, or until crisp. Watchcarefully to ensure they don’t burn. Remove the crisps from the oven and leave on the trays for a few minutes to crisp up beforeeating. The crisps are best eaten within a few hours, but can be stored in an airtight container for 1–2 days. Re-crisp them in the oven at a low temperature for 3–4 minutes. 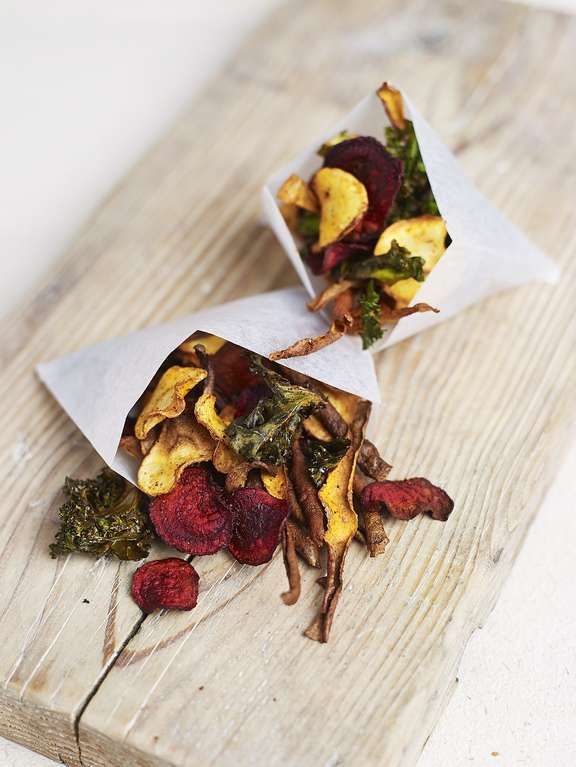 SWEET POTATO AND POTATO PEEL CRISPS Swap the kale for the peel of 2 large sweet potatoes – about 50g (13⁄4oz). 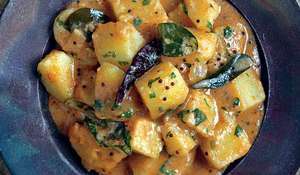 Combine with the regular potato peel and season as per the recipe. Roast both for 25 minutes, or until crisp. Swap the kale for 1 parsnip – about 100g (31⁄2oz). Slice very thinly either with a mandolin or a vegpeeler, including tops and tails. 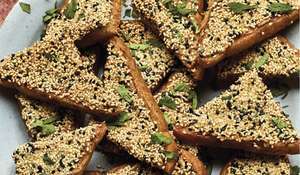 Season, spread thinly on a baking tray, and roast for around 35minutes, or until crisp. Thicker slices may need an extra 5 minutes, but watch carefully to ensurethey don’t burn. Add the potato peel tray to the oven for the last 25 minutes. Swap the kale for 1 beetroot – about 100g (31⁄2oz). Slice very thinly either with a mandolin or a vegpeeler, including tops and tails. 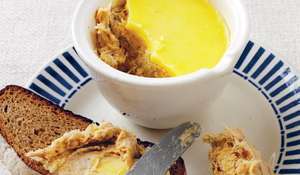 Season, spread thinly on a baking tray, and roast for around 35minutes, or until crisp. Thicker slices may need an extra 5 minutes, but watch carefully to ensurethey don’t burn. Add the potato peel tray to the oven for the last 25 minutes. What's it about? My Zero-waste Kitchen shows you how to put the three R's - reduce, reuse, recycle - into practice in the kitchen. 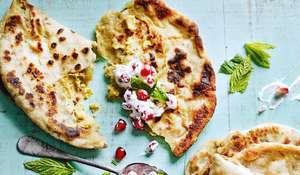 From top tips on how to use up supposed odds and ends into delicious dishes, to inspiring recipes, this book is full of resourceful, zero-waste inspiration.